When we think of the fighters and gliders of the early years of flight, we hardly picture a sloped wooden seat, made purposefully to seat a pilot and used by the Luftwaffe for training in the late 1930s and into the 1940s. The SG 38 was appropriately named Schulgleiter or "school glider" and the year it first flew, 1938. 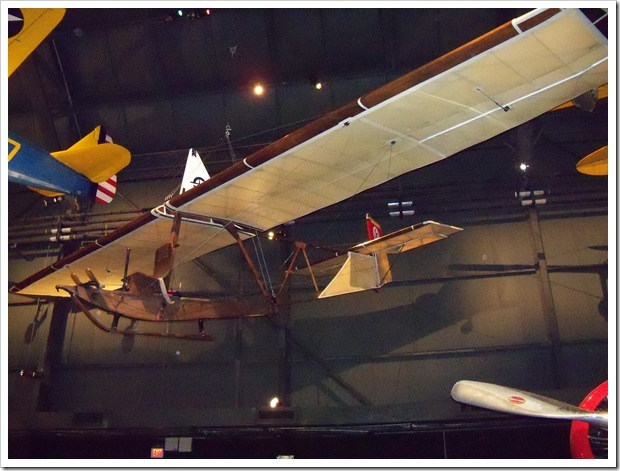 The Germans were facing strict limitations on powered aircraft after World War I therefore they turned to gliders for studying aerodynamics and training pilots. In 1933, the DFS or German Research Institute for Sailplane Flight was forced by the Germans to make all gliding activity in Germany centralized. Training gliders, such as the Schneider Schulgleiter SG 38, were developed for both the Hitler Youth Flyers and Luftwaffe. The Luftwaffe made its appearance in 1935 after the Nazis began their attempt at a rapid large-scale rearmament program. The expansion created a need for safe gliders used for student pilots in training. The The DFS worked with Edmund Schneider, who had opened a glider factory in 1927 and was producing some of the world's best gliders, to design the Schneider Schulgleiter SG 38. It would appear that the design of the SG-38 was overtly simply and a bit dangerous looking, however the aircraft had to compensate for inexperienced student pilots. Would you believe that this training glider was actually launched with bungee cords from the hillsides of Mount Wasserkuppe in central Germany? The glider only remained airborne for a short time in order to prevent heavy-handed students from over steering and stalling the glider. Eventually, 9,000 to 10,000 SG 38s were built. After World War II, Schneider moved to Australia and continued to build gliders. This Schneider Schulgleiter SG 38 came to the USAF National Museum in 2010. Tourists fly in from all around the world to visit the National Museum of the United States Air Force and who could blame them. The museum is completely free, only taking donations if you’re willing to spare a cent, and all this for a weeks worth of military history. 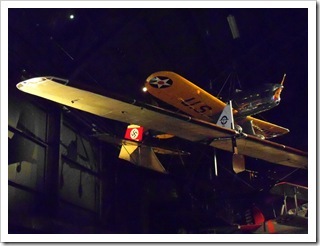 It took me several days to walk the museum, spending most of my time with the Planes from WWI and aircraft from WW2. One of my favorite hangers in the museum is the space gallery, and the focal point is a round room featuring massive strategic missiles. So before I start sharing, I wanted to start off the Wright Patterson Air Force Base Series with the Shoo Shoo Baby B-17G. For those of you plane and aircraft enthusiasts, you already know the B17G Flying Fortress was one of the most famous airplanes ever built. The B17G prototype first flew on June 28, 1935, yet few of the B-17 flying fortresses were flying prior to the United States’ entrance into World War II.